Previous: More Babies Born on Valentine’s Day. Explain That One, Science. Here’s what you can do to give her the best start possible. Ah, the gut microbiome, that teeming collection of fungi, viruses and bacteria that lives inside our intestines. We hear so much about it nowadays, that you could almost believe a healthy gut was a panacea for everything from obesity to asthma. Sadly, it probably isn’t. Not for you, at least. But for your baby? That’s another story! Research over the past decade has found that infants’ gut microbiomes can shape their metabolic and immune-related health as well as their lifelong risk for obesity, asthma, allergies, and autoimmune diseases. Translation? Looking ahead to delivery, do not fret about pooping-on-the-table during delivery (that’s likely gonna happen anyway), fret about your baby not taking a bacteria-laden bath on its way outside. And that’s the rub. We now disrupt the normal seeding of a baby’s gut with mom’s bacteria in over half of all U.S. births. C-sections and early life antibiotics all interrupt the transfer of bugs from mom to baby. Infants’ gut microbiomes can shape their metabolic and immune-related health as well as their lifelong risk for obesity, asthma, allergies, and autoimmune diseases. 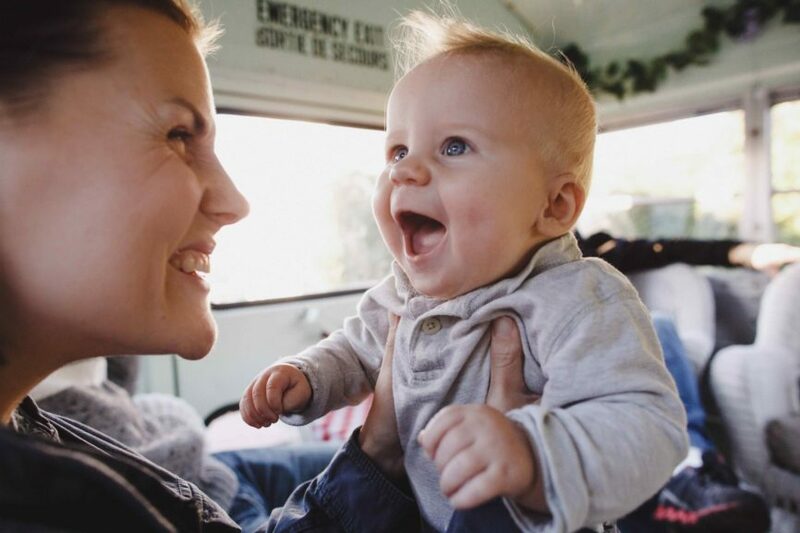 While what happens during birth is often outside our control, there are simple steps you can take today to boost your baby’s gut health that appear at least safe, and possibly beneficial. How do I boost my baby’s microbiome? Fiber-rich diets increase the diversity of our gut bugs and shift the suite of species closer to those found in traditional hunter-gatherer societies. As a byproduct of their metabolism, fiber-loving bugs produce acetate and butyrate, two compounds that help maintain the gut barrier and may therefore lower the risk of autoimmune diseases. This is not just about how to feed your baby when he or she starts solids around four to six months of age. By upping your fiber intake while pregnant and nursing, you can pass these healthy, fiber-loving gut bugs to your baby during delivery and through your breast milk. Let’s start by admitting that C-sections can be life-saving. Let me be clear, I am incredibly thankful that C-sections are both safe and widely available. Some of my closest friends are still with us, because of C-sections. But as we all know, not all C-sections performed today are necessary. The C-section rate has climbed from under 20% in the 1970s to 32% today. While pinpointing the right rate is difficult, nearly everyone agrees that 32% is too high. Most experts believe the percentage of deliveries that need a C-section is closer to 15-20%. 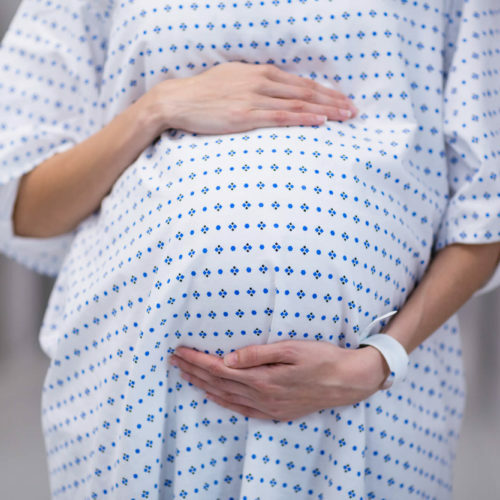 C-sections entail not just longer recovery times and higher chances of complications, especially with repeat C-sections, but may disrupt your baby’s gut microbiome for months, if not years. Vaginally-delivered babies arrive in a bacterially-laden splash, coated head to foot in their mother’s bacteria, whereas babies delivered via C-section enter the world under sterile surgical conditions through their mother’s lower abdomen. This difference has a profound impact on gut colonization. C-sections may disrupt your baby’s gut microbiome for months, if not years. Researchers now believe that these changes in gut colonization may explain why babies born via C-sections are at higher risk for obesity, allergies and Type 1 Diabetes. Obviously, birth is unpredictable, and not all C-sections are avoidable. The best way to lower your chances of an unnecessary C-sections may be to pick your hospital carefully. In the U.S., C-section rates vary as much as 10-fold between hospitals, from 7% to 70%. Check out this website that lists hospital rates by state. Swabbing refers to dousing (or dabbing) your C-section baby with all the lovely bodily fluids he missed out on by bypassing your birth canal. While swabbing is catching on among some parents, in the medical profession it still remains controversial. Critics of the practice fear swabbing could expose your baby to nasty bacteria and viruses like HIV, Herpes, Chlamydia, and Group B Strep. The other major criticism levied is that we do not know whether swabbing actually benefits long-term health. Proponents assume that swabbing will have health benefits. But they are making a leap of logic. Yes, C-sections are linked with higher rates of obesity, asthma, allergies, and autoimmune diseases. However, we do not know for certain whether this is because of changes to the microbiome. C-sections are also more common in high-risk pregnancies, such as those affected by gestational diabetes, preeclampsia, and fetal distress. Perhaps it is problems during pregnancy and delivery, not lack of microbes, that raise one’s risk of metabolic and immune disorders. 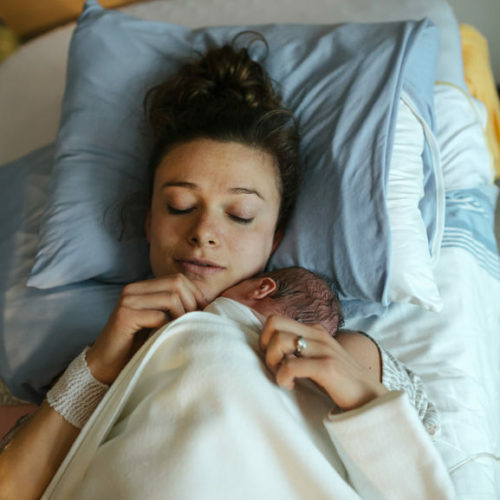 Babies delivered via C-section also miss out on more than just microbes, they often miss out on the hormonal effects of delivery. Would-be swabbers also face a practical problem, no one has determined the “right way” to swab. In a 2016 study, researchers soaked gauze inside laboring women’s vaginas. Shortly after birth, they rubbed the gauze over the newborn’s face, mouth, and bottom. Newborns born via C-section but swabbed had oral and skin microbial communities that more closely resembled those of vaginally-delivered newborns, but this was less true when it came to their gut microbial communities. Perhaps because, as we all know but do not like to talk about, newborns are exposed to—ahem—more than just vaginal secretions during birth. The controversy over swabbing has, at its heart, a question about what is the status quo. Swabbing mimics what occurs naturally in a vaginal birth. Yet, as soon as you take something away, you change its frame of reference and what is perceived as the status quo. For C-section babies, this makes delivery in a sterile surgical environment the new normal. “In one sense, the science isn’t settled yet. In another sense, compared to other choices you might be making this is a very natural choice. 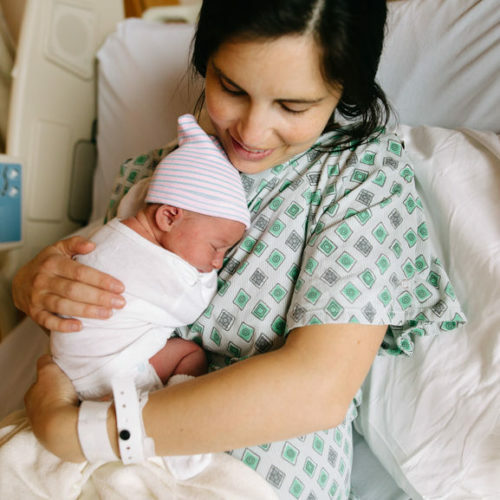 Had you not delivered your baby by C-section there’s no way you could escape coating your baby in these bacteria.”- Rob Knight, a microbiologist at the University of California, San Diego. there’s no need to dunk your newborn in a tub, and many hospitals have now updated their procedures so that the first bath is delayed at least 24 hours, as the World Health Organization recommends. Early bathing may not only increase the risk of low blood sugar in newborns, but could also interfere with early bacterial colonization by mom’s bacteria. Health benefits aside, who wants to wash away that delightful vaguely vanilla-ish newborn baby smell. Savor it! Ah, the supplement du jour. The “live cultures” touted on your bottle of kefir. The slimy phlegm at the bottom of your kombucha bottle. By definition, any microorganisms that can survive the harrowing journey from your highly acidic stomach to your less acidic intestines. 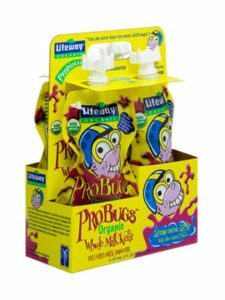 So, marketing aside, does imbibing “healthy gut bugs” benefit your baby? Surprisingly enough, the answer seems to be, at least in some cases…YES. For preemies, probiotics cut the risk of necrotizing enterocolitis–a severe and often fatal condition common in preemies–in half. They also lower their odds of sepsis, a severe and potentially fatal blood infection, by 12%. For preventing these serious complications of prematurity, probiotics “cocktails” containing multiple bacterial strains, usually a mix of Lactobacillus and Bifidobacteria, appear to be the most effective. For all babies, probiotics also lower the risk of childhood eczema, although not their risk of childhood allergies or asthma. Again, probiotics cocktails appear the most effective. Probiotics can also reduce newborn colic, according to a meta-analysis of five randomized trials. For preemies, probiotics cut the risk of necrotizing enterocolitis in half. For older children who receive a course of antibiotics, probiotics cuts their risk of antibiotic-associated diarrhea in half, with high dose probiotics (>5 billion CFUs/day) being most effective. When is the best time to give your baby probiotics? No one knows for certain, but a tentative consensus is coalescing around earlier being better. Probiotics given during the first month of life lower genetically-at-risk children’s chances of Type 1 Diabetes, whereas those given later had no effect. Allergy researchers have started referring to the first “100 days” as the critical window for early immune development. In short, the research remains unclear on which common probiotics work best and on the optimal timing, probiotics appear safe even in immunologically vulnerable babies like preemies (although rare adverse events have been reported for very preterm babies), and high dose, multi-strain cocktails have the most evidence on their side. Get a new dog and have a new baby in the same year? Potty train a puppy when up all night nursing a newborn? Yep, this is a recipe for chaos. That said, when it comes to preventing allergic diseases, dogs may truly be your baby’s best friend. Babies raised in households with dogs have fewer ear infections and colds, and needed fewer courses of antibiotics during their first year of life. Several studies have also found that having an indoor dog in your baby’s first year of life lowers their risk of allergic sensitization, eczema, Type 1 Diabetes, and asthma, perhaps because dogs benefit your baby’s microbiome. But alas for sleep-deprived new parents who want to hold off on finding their new best friend, it seems that dog exposure has to occur soon after birth to confer protection. Childhood exposure provides no benefit. Let’s be clear…antibiotics are lifesaving. When you need them, you really need them. However, antibiotics are also over-prescribed. They are often given for mild illnesses that would resolve on their own and for viral illnesses, like the common cold and most ear infections, against which they are completely ineffective. Over-prescription is a concern not just because of the rising tide of multidrug resistant strains of bacteria (and these superbugs are very scary), but also because antibiotics, like all drugs, have a downside: They can hit our gut bacteria hard. They can drop overall species diversity, devastate commensal gut bacteria that benefit our health, and open the door for infections caused by bacteria like C. difficile. In short, although avoiding antibiotics altogether is impossible, it is wise to try to reduce your exposure. Before taking antibiotics, double check with your doctor whether they are truly necessary. Ask if it is safe to wait and see if your baby’s infection will clear on its own. In your home, pass on antibacterial soaps or cleaning products–these are unnecessary and kill off the good bacteria with the bad. Plain old soap and water is the way to go. Although avoiding antibiotics altogether is impossible, it is wise to try to reduce your exposure. 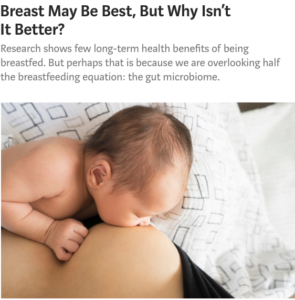 Here’s some circular logic for you: breastfeeding feeds gut bacteria and the benefits of breastfeeding may rely on the bugs consuming the breastmilk. In other words, we need to both feed the bugs and make sure the bugs are there to be fed for optimal baby gut health. Clearly, this topic deserves a post all of its own and for the curious, you’re in luck! At Bloomlife, we believe that every woman should feel confident and ready for that day when she finally meets her little one. We are committed to accelerating long overdue advancements to improve the health of moms and babies. To learn more about Bloomlife and our clinically validated contraction monitor, click here!